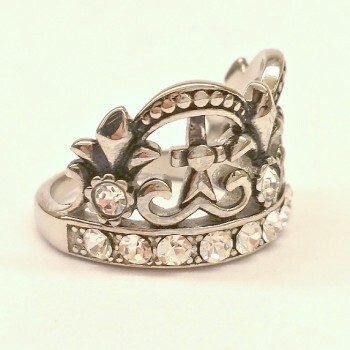 Regal stainless steel crown ring with CZ’s in the band and in three fleur de lis. 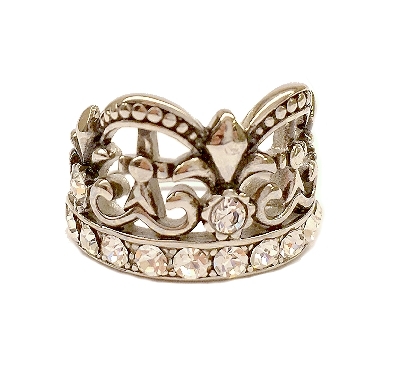 Between the fleur de lis are crosses. 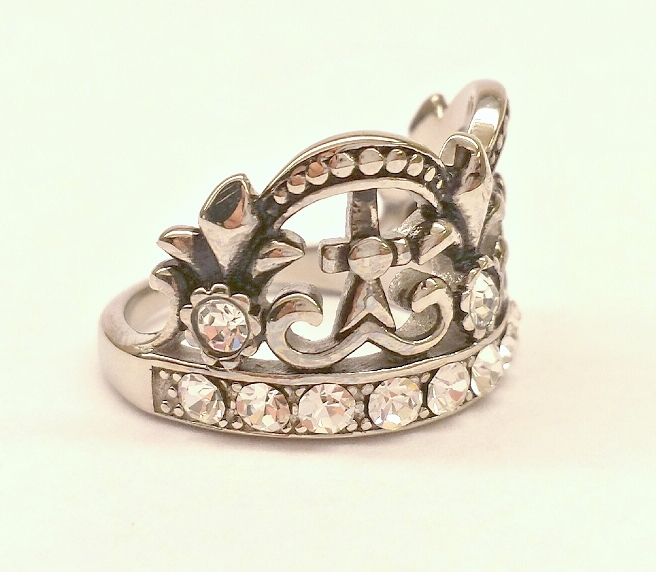 The ring has on open back for a comfortable fit.